even in the darkest of nights, love is light. letting the kids stay up on Sunday night. creating memories. I have a very, very special video to share with you today at the end of today’s post. I hope it will touch your soul with a comfort and peace, like the warmth of a candle flickering in the window. Just for you. We lit up a Christmas tree for the first time Sunday night. Protestors in Berkeley, California, lit up the streets in violence that same night. It was both a night of peace and yet, for many enraged over police killings in Ferguson, Missouri and New York, a tide of anger erupted that could not be quelled. It was my birthday weekend. And I’ve always loved how the beginning of my story is wrapped around the Bigger Story of Someone who loved me enough to come for me. The birth of Jesus. But, just one hour’s drive away from our home in Silicon Valley, where Josh and Caleb were playing hide and seek with ornaments in the boughs of our Christmas tree, hundreds of protestors could not contain the brokenness of their stories — wrapped in generations upon generations of pain and racism. Riots broke out into assaults, tear gas and smoke bombs flung into one another from both sides. The story of our country is bleeding into stories filled with division and ugliness. It made me think about my own journey. There are a lot of loose ends in life, aren’t there? Don’t we try to tie them all up during the holiday season? Don’t we try to hide the strife and any ugliness — in fear we’d ruin Christmas? But, the mere effort to do that makes it plain to my heart: there are pieces of my story I can’t change. The truth is that Christmas can only come — Christmas can only be made new — if we bring our ruins to Jesus at Christmas. Because it’s only then, when we bring all our broken pieces to Jesus — that our hearts will be touched by a beauty so quiet, so tender and so real. Then, the candle we light at Advent will no longer be something we do at Christmas. We will experience Christmas. In our hearts. For most of my life, I’ve held onto a peace that I manufactured — in order to be okay in my family of origin. I’ve ignored the hurt and the pain — and endured a lot of dysfunction because I thought that’s what it meant to maintain the peace. I didn’t want to be a refugee. It’s always seemed better to hold out manufactured hope — rather than giving up and becoming an emotional refugee. This fear of becoming an emotional refugee is the voice of the little girl in me. God doesn’t want me to be alone as that little girl anymore. This year, the birth of Jesus tells me He was once a refugee too. Are you feeling the pressure of expectations this Christmas? To fit in with the manufactured pictures of peace? Jesus sees right into the heart of it all. He sees our families, mothers, fathers, brothers, sisters, friends, enemies, our marriages, our children, and our unspoken stories. We may tempted to manufacture our own peace during this Christmas season, when the pressure of perfection presses in on us. Real peace from God is not manufactured or even problem-solved. Real peace from God isn’t the absence of darkness. Real peace from God is Shalom – a putting back together again. Jesus was born right in the middle of violence — igniting the anger of Herod to kill an entire city of boys under age two. Jesus died a brutal, violent death, beaten to an inch of His life. Peace is Jesus who was born and displaced as a refugee. Fleeing in exile to Egypt in the arms of his first-time parents Mary and Joseph. Jesus was a refugee in a world who didn’t love Him, know Him or want Him. Marginalized. Crucified on a cross. Jesus is The One who offers Himself. To love you and me. I’m letting go of holding onto a manufactured peace. And in those secret moments of honesty, I am both afraid and willing. But, even in all this, Jesus is holding onto me. And gently asking me to trust Him. Let me be your refuge. Make room for love, joy, peace, love. For candles, hot cocoa, the glow of a Christmas tree, a journal, a walk, a hug for a friend, a good cry, a good laugh — right in the midst of our loose ends. Because God is our refuge, love is our new home. How are you experiencing God in Christmas new this year? I have a very special video to share with you today! It’s a fresh take on the story of the birth of Jesus — told by the people of Bethlehem. In Palestine. This spoke such beauty, so powerfully to me this week. 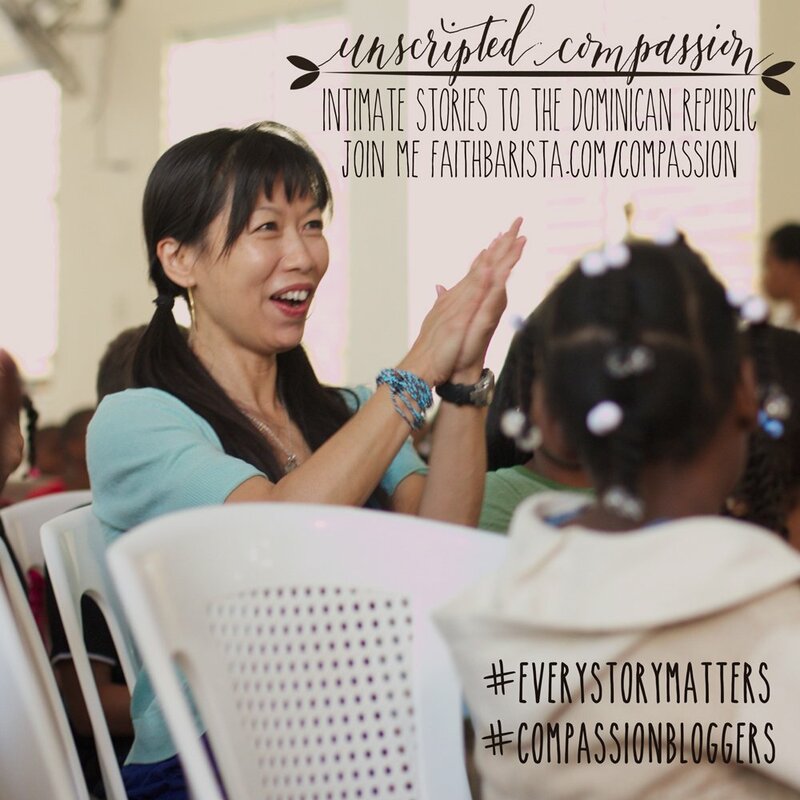 Click below to watch this amazing, beautiful, soul-inspiring video. Be inspired. Share this with a friend and warm their heart today! Or choose your own writing prompt. 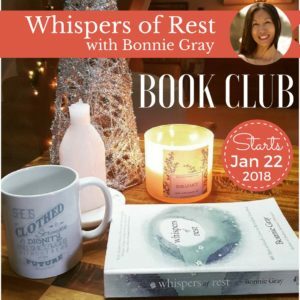 How God is speaking to you in the quiet? 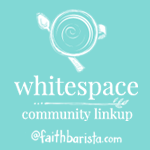 *Please* use the Whitespace Linkup Badge in your post. Thank you! 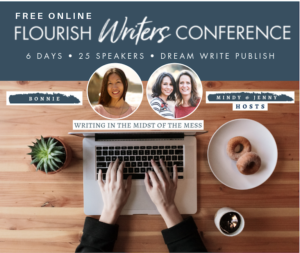 Publish any day. Link up on Thursdays. Be a kindred. Visit the post before yours and say hi with a comment. 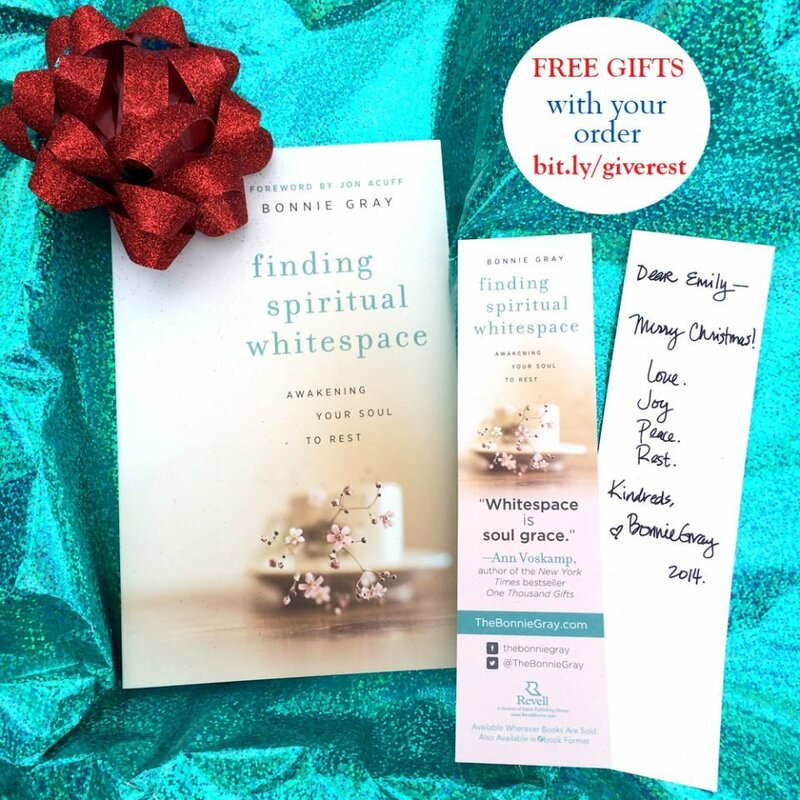 Thank you for using #spiritualwhitespace to share your pictures on Instagram & Twitter. It’s fun to see the moments that feed your soul this week! This is a mini-documentary titled “O Little Town of Bethlehem”. Directed by Tim Parsons. St. Paul’s Arts & Media (stpauls.org.nz). Once again your words have spoken to my heart! Why do we try to tie up all loose ends at Christmas? It just sets us up for emotional let down. I plan to avoid this by seeking Him & His peace at Christmas & hopefully every day thereafter!! Thanks again! P.S. The video was eye opening. Thanks for sharing. thnx for sharing this… keep writing.. your soul speaking. Dear Barb, how was your Christmas? .. My heart hopes your heart was touched by the peace of Christmas and today, you’re warmed by the touch and breath of the silent night. God with you. Merry Christmas, sweet kindred. Your words always make me feel less alone, Bonnie. Thank you. 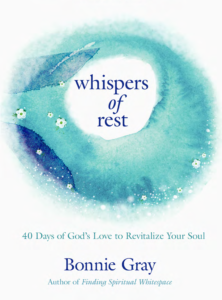 When you write of what God whispered to you, it sunk into my heart, too. I loved the video. So enlightening. I’m so blessed that your prayers are found in this quiet space, friend. 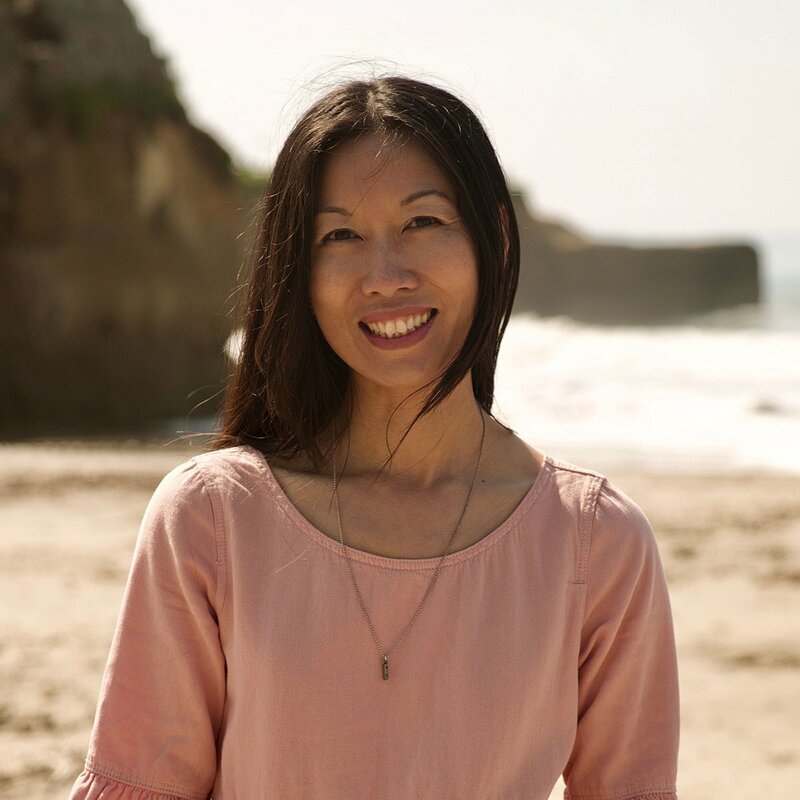 Bonnie – Thank you for that video – peace can be so elusive at times. Jesus knew that, too, didn’t He? He is our hope – our consolation. Your writing touched my heart today. Dear Barb, I hope you had a wonderufl Christmas.. it touched me to know the video that touched my heart also spoke to yours. I hope your heart is warmed by the peace of Christmas today. Dear Anne, I remember reading this and thinking this week, as I was waiting for Christmas to touch my heart.. if Christmas has touched yours? 🙂 Merry Christmas, and my heart hopes your heart is touched with the fragrance of Christmas – God whispering to you. Tie up those loose ends… ugh! why do we put ourselves through such pressure? This should be a time of rest and reflection right? The video was amazing! the wall though…. made me sad. It also made me think of the walls we tend to build around ourselves. that is so special that your son said that to you. my boys suddenly decorated the tree -for the first time this year too? in years passed, i’d ask them, but they weren’t interested. then, this year, unprompted, they both wanted to. it’s such a gift they give us, our boys, huh? I was SSOOO happy to read that you taught your son whitespace – with those silent moments hanging ornaments and soft carols. and whispering together. such mother son intimacy… i know it has touched his soul of memories and in the future will return to comfort and bring warmth thinking of his mom on Christmas. you’re blessed, girl!! 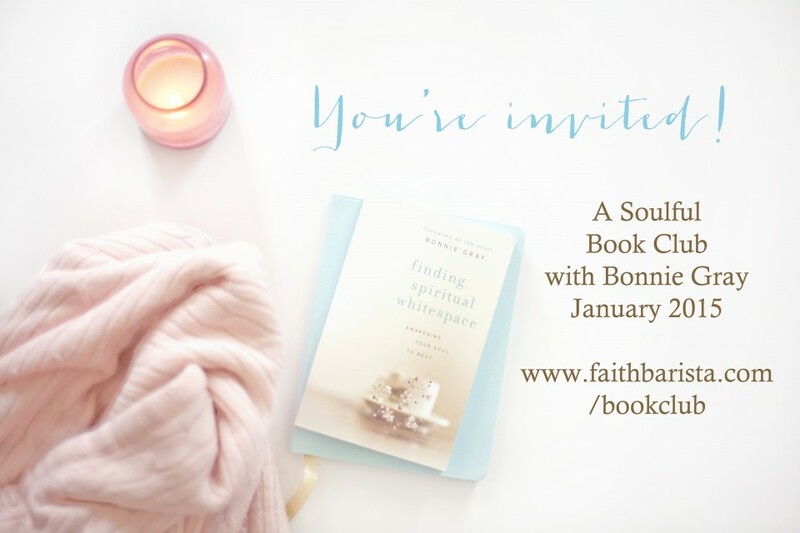 “Real peace is a Person–Jesus.” Love that, Bonnie. Because peace does indeed come when needs are met and the future is secure. Jesus does that for us. All praise to our Christ, the Lord! Merry Christmas, Nancy.. real peace touching your heart, day after. I grew up just five miles from Ferguson and have many happy and sad memories of life there. Overall, mine was a blessed childhood but, like you, I learned to “manufacture” peace to fit in. The latest events in Ferguson left me asking God just how to pray for the division that has been so very many years in coming. I believe the answer is to pray with possibility, and to speak words of possibility into the hate-filled situation. Possibility prayers like,”God, it doesn’t have to be this way, does it? You are bigger than this.” After reading your post, I think maybe possibility prayers play a role in peace. Refusing to believe that what I see with my eyes and hear with my ears, the conclusions I draw and the experiences I have live through are all there is. Jesus did this, even with His last breath, “Father forgive them, they don’t understand what they are doing.” Thanks for another great post today! i’m thinking it must have been so unsettling to watch everything unfold in Ferguson, esp. since you carry so many happy and sad memories of life there. it was nice to get to know w alittle more about you through what you shared here, Shannon. I hope you had a Merry Christmas and peace touches your heart today, day after. I am experiencing God holding me together this Christmas. There seems to be so much strife and anger spewing out on our streets. I liked how you phrased it–“hundreds of protesters could not contain the brokenness of their stories – wrapped in generations upon generations of pain and racism.” I had not seen it that way. Their stories may have deeper pain than I realize. In the midst of this very visual pain and rage, I turn to my God and ask to be a peacemaker and sharer of the light of love. I so appreciate your writing, Bonnie. From it, I gain a peace and strength no other writer gives me. You’re always real, honest and loving. Thank you and God bless you on your journey to healing. BTW…loving your book. Merry Christmas! Dear Dee… I hope that you had a Merry CHristmas.. just wanted to let you k now I appreciate your sharing on this journey.. may you feel His peace tonight. I felt so cold today and out of touch with God and my feelings. When I watched the video you linked below…it was like Christmas in my heart. 🙂 Thank you. so happy that Christmas touched your heart.. I hope you have a wonderful Merry Christmas, Elisa.. and the fragrance of peace is touching your heart today, day after.